I have been reading George R. R. Martin’s A Song of Ice and Fire series for quite a while now, and I am happy to finally be caught up with the main books in the series. I was gifted the pre-ordered paperback of A Dance with Dragons back when the release date was significantly earlier than it turned out to be, and I didn’t want to buy a second copy, so I had to wait several months to receive this book after finishing the fourth book in the series, A Feast for Crows. I want to say that I really enjoyed this book, but I don’t know that it really lived up to all my hopes and expectations. Perhaps it is because I had to wait for this book, but for some reason the characters felt a bit… off. I mentioned in my review of the fourth book that several of the main characters were left out, and their stories weren’t continued until the fifth installment. After the bang-boom-wow ending of the third book their absence was annoying, but understandable in the context of needing to seed ideas for upcoming events in the story. So it is, I think, understandable that I was more than a little excited to have these characters re-introduced to the story. And I did enjoy reading about them again. But for some reason they all felt a little different than they did before. A little less sharp, a little less witty. The first three books were so great because the characters all felt so smart – perceptive and scheming, with plots inside plots that were as difficult for the reader to figure out as it was for the characters. Perhaps it is just because we have been with the characters longer, and have a better understanding of their motives, or perhaps it is because previous events have (understandably) changed their demeanor, but for some reason the characters and events that transpired in A Dance with Dragons feel a bit more plain than those in the previous novels. 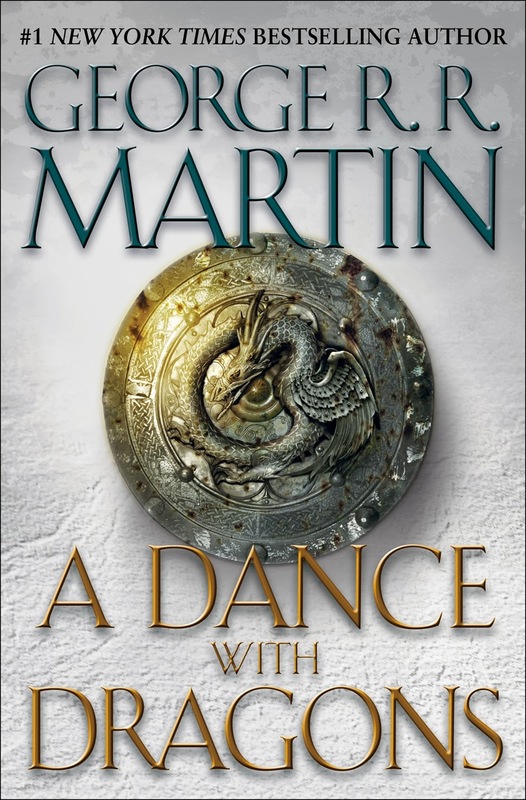 Which doesn’t mean I didn’t enjoy this romp through Westeros – the enormity of this story and the craftsmanship of the writing can’t be ignored, and there were certainly moments that will be considered highlights of the story as a whole (yay dragons!) – but I just wasn’t as thrilled with this portion of the story as I wanted to be. I suppose it really just felt too much like set-up and posturing for events yet to come. But I think a lot of these upcoming events will be very interesting. Which means that while this may not have been my favorite installment of the series, I am very much looking forward to reading the forthcoming The Winds of Winter. If, you know, it ever gets finished. I agree 100%! I felt like this book was a lot of maneuvering the characters around the board rather than allowing their scheming to shape the story. Hopefully, it's the set up for some spectacular end games. Let's hope it all gets written! Gosh I read all these like the wind but so long ago. I was thinking of re-reading them but now I'm second guessing. I wonder if I'll have to re-read them when the next book finally comes out. Hmmm.